In Nazi Germany, 1941, fearsome Colonel Ludolf Von Alvensleben acquires a legendary Occult book which holds the secret to bringing inanimate objects to life. Stolen by rogue Nazi officer Benjamin Hoffman, the mysterious book ends up in the hands of Toymaker Amos Blackwood after Benjamin is tracked down and murdered by SS officers in the town of Rosenheim. 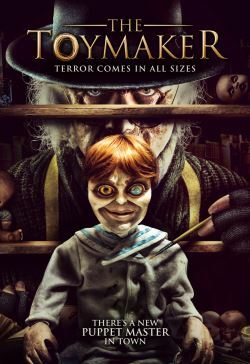 As the Nazis terrorize the locals while searching for the book, the Toymaker experiments with the ancient tome and gives life to his collection of vintage dolls and handmade toys. After betrayal from one of his employees the SS raid the Toymaker's shop, stealing the book and kidnapping Amos. But the animated dolls and toys don't take kindly to the loss of their master. So begins a mission to rescue the Toymaker from the clutches of the evil Colonel and exact a brutal and bloody revenge on the Nazis.